Fort Lauderdale is the main metropolitan area in Broward County. It is just North of Miami and has a population of about 165,211. Fort Lauderdale is a popular tourist destination. Every year over 10 million visitors grace Fort Lauderdale's beaches and night life. Fort Lauderdale has an expansive and intricate canal system leading to the Atlantic ocean. As such, Fort Lauderdale is a major yachting mecca. Over 42,000 yachts call Fort Lauderdale home. Fort Lauderdale got its name from a series of forts built by the U.S. during the civil war. The forts were named after Major William Lauderdale, who was the commander overseeing the building of the first fort. Actual development of the city we now know as Fort Lauderdale didn't begin until 50 years after the forts were abandoned. Fort Lauderdale bankruptcy attorney Clare Casas can help you prepare and represent you during your Fort Lauderdale bankruptcy. If you are having financial difficulty and are stressed out over creditors calling you at all hours of the day and night, you owe it to yourself to make an appointment. 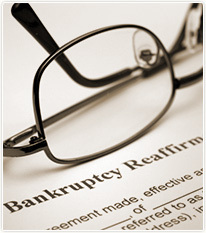 Call today and speak with one of our Fort Lauderdale bankruptcy attorneys.